In an exclusive interaction with People Matters, Dr. Marshall Goldsmith shares his thoughts about shaping the leaders for the future of work and encourages employees to take charge of their own engagement and learning. 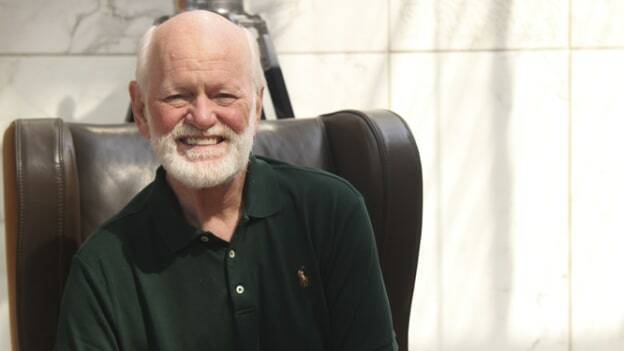 From a student in small-town Valley Station, Kentucky, to a renowned and inspiring global talent leader, Marshall Goldsmith has inspired many CXOs and talent leaders as a teacher and a mentor for more than four decades. Educating executive leaders of global organizations to gear up for the future of work is his forte. As a Professor of Management Practice at the Dartmouth Tuck School of Business, Goldsmith holds a PhD from UCLA and his books Triggers and What Got You Here Won’t Get You There, have been lauded as some of the best-written pieces of work in the sphere of talent management and executive coaching. In an exclusive interaction with People Matters, Goldsmith shares his perspective on how leaders can prepare themselves for the future of work and at the same time strike a balance between their personal and professional lives. Most of the leaders whom I have worked with are brought up in a way that they feel compelled to prove that they are right. There is this thought-process where leaders feel the pressure to prove that they are smarter than others and have an innate tendency to be superior. The moment they transition from being a subject expert into leading teams, leaders must stop feeling the need to be smarter than everyone else in the team. If you want to be a smart leader, you need to let others on your team become successful. Let them be the winners rather than you yourself taking the work upon yourself. The rapidly evolving landscape of the future of work is complex. One of the major challenges that I have seen leaders face is building the capacity within themselves to adapt to change. Leaders first have to take charge of their own learning and only then can they help others on their team to navigate their way to the future. As you rightly said, one of the biggest challenges leaders are facing today is ensuring they are capable of navigating themselves and their organizations through a complex and rapidly evolving future of work. What leadership mindsets do you think will be required to take this leap into the future and lead the business smoothly through all the changes? A major difference between the traditional leader and a leader who is prepared for the future of work lies in the mindset. The future leader is going to have to be a global thinker as opposed to the traditional leader who was focused on domestic operations. Becoming digitally savvy is a crucial skill set for a leader in the age of digital transformation. They don’t have to be technologists but they have to understand how technology influences business. Another major aspect is building alliances and partnerships not only within the organization or internal teams but across various departments and related companies. For example, companies such as IBM and Pfizer did not have partnership models at all. Now, their core businesses operate on the foundation of alliances because they realize its impact. Finally, the leader has to be a facilitator. Leaders would now have to manage people who know more than they do. While they can share the learnings from their years of experience with them, they also have to learn from the skills they possess. To be able to lead the way through the future of work, leaders have to ask the right questions, have to listen to all the inputs and facilitate growth and career of the employees. What role can talent leaders play in inculcating these mindsets into the larger culture of the organization? The role of the talent leaders in inculcating these mindsets is just one part of the equation. It’s time that people focus on their own development and instead of asking what the company or the HR is doing for my career growth, ask what I am doing for my own learning? I encourage every leader and employee to ask herself or himself six basic ACTIVE questions every day. By active questions, I mean asking yourself about your day and being truthful to yourself. 1. Did I do my best to set clear goals? 2. Did I do my best to make progress toward goal achievement? 3. Did I do my best to be happy? 4. Did I do my best to find meaning? 5. Did I do my best to build positive relationships? 6. Did I do my best to be fully engaged? Can you talk about the initiative, MG 100 Project wherein you have identified Global Thinkers, Philosophers, Superbosses, Corporate Leaders, Coaches, and Gurus? What distinguishes the people on the list and what can professionals across the globe and across industries learn from them? Having attended a program called “Design the life you love,” led by my friend Ayse Birsel, where she asked us to write down the names of our heroes, I realized that most of the heroes in my life have been my mentors and teachers who have played an instrumental role in shaping my life. To be able to be like my heroes, I thought I had to be more generous like them. Hence, I got an idea to teach at least 15 people everything I know about leadership--at no cost! The only condition is that these 15 individuals would then pay it forward by coaching the next 15 leaders in return. To my surprise, a simple LinkedIn video got a response from about 100 coaches who wanted to be a part of this initiative and wanted to carry it forward to other leaders in turn. The distinguishing factor about these leaders is that they come from all walks of life. From Jim Kim, the 12th President of the World Bank to corporate CXOs such as Kevin Koch, President & CEO of Koch Enterprises and news anchor Chris Cuomo. While these leaders come from diverse backgrounds, two things that bring them together are their hunger to learn and their passion to share their knowledge with others. Taking the initiative forward, you have launched something similar in India. Can you share more about this launch and the project? The two-day workshop was held from 18th to 19th February, wherein, first, I shared my knowledge with the top 25 leaders and then we explored how to help each other to become more engaged in our respective organizations. In closing, what’s the one tip that you would like to give to the current, as well as emerging leaders? The key to good leadership in the age of Industry 4.0 is to listen to all the available information -- especially from the people working with you, who are smarter than you!